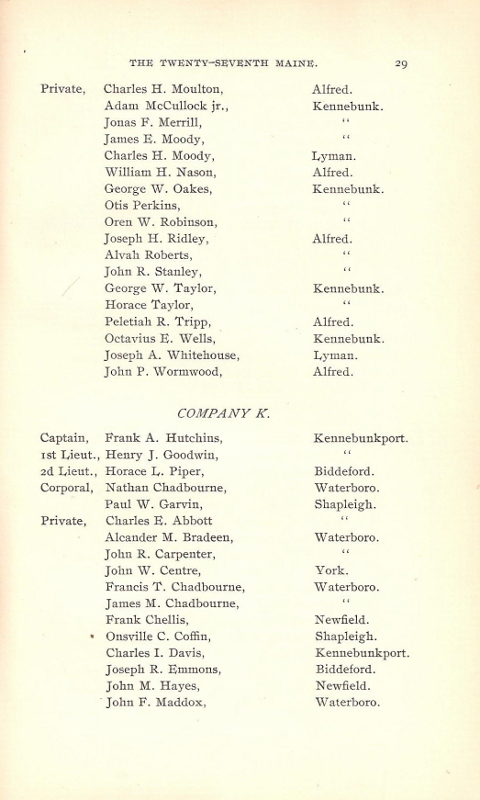 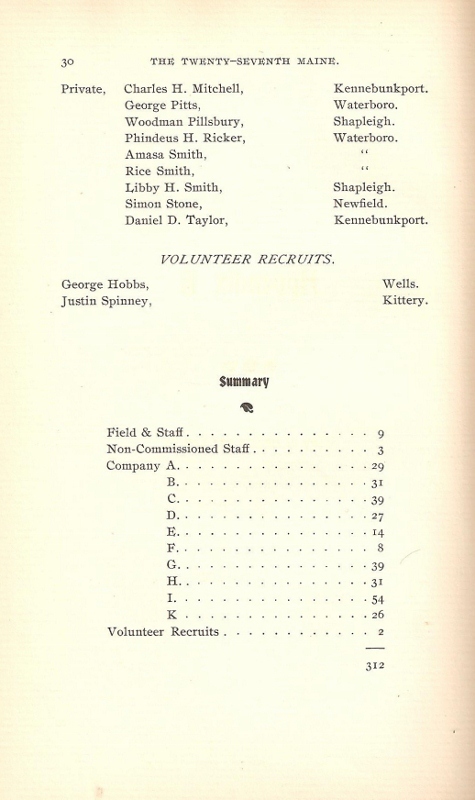 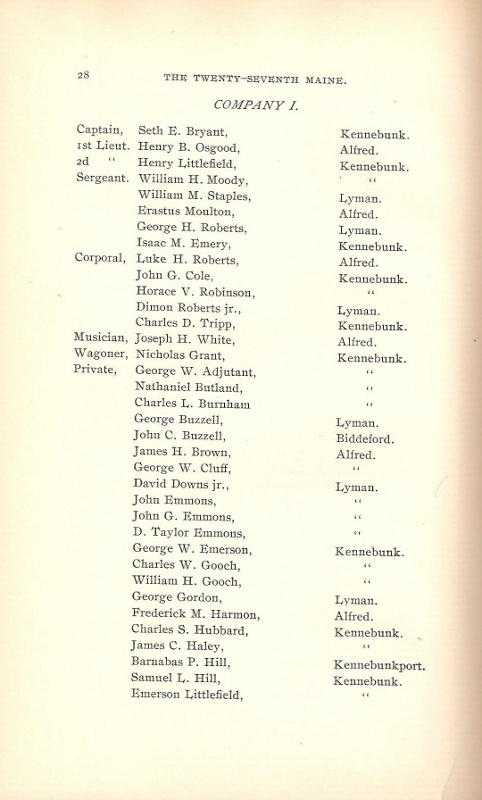 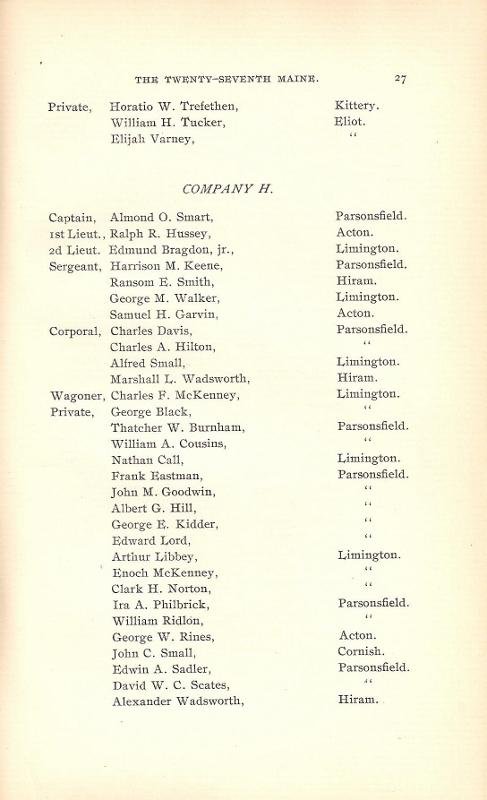 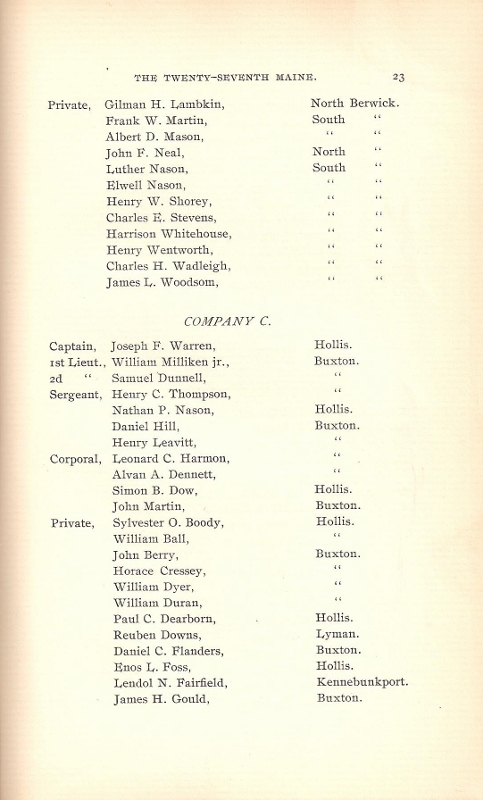 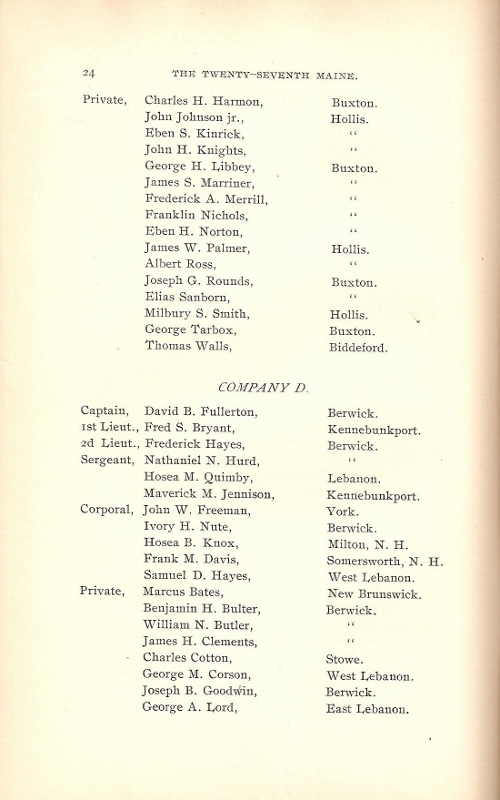 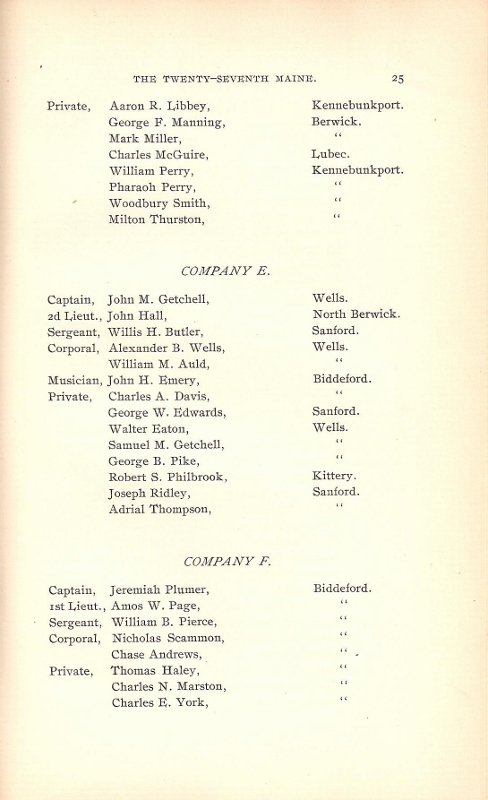 The following are the pages from the History of the 27th Maine book, listing those 312 men who volunteered to stay behind in Washington, DC. 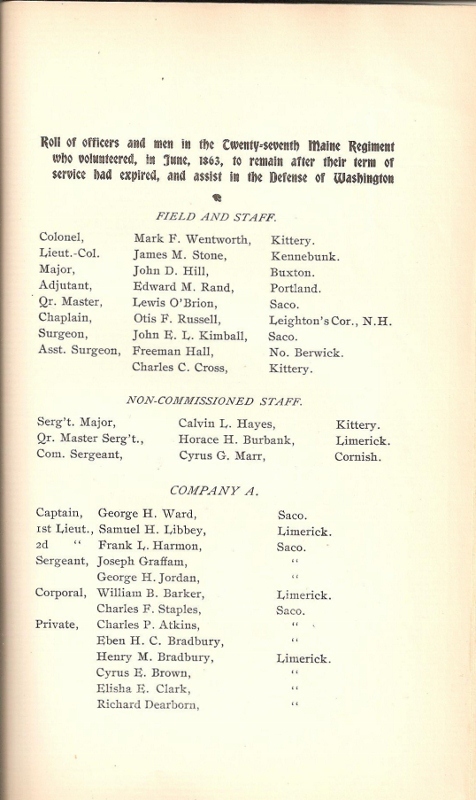 George Hobbs was the regiment's official sutler, and stayed to carry on the business of selling his wares and supplies. 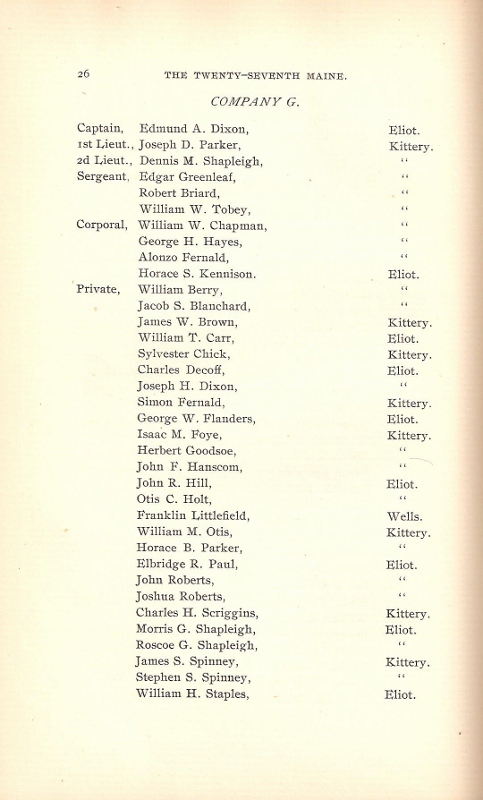 Justin Spinney of Kittery was only 16 years old at the time, and the reason for him being with the regiment is unknown. 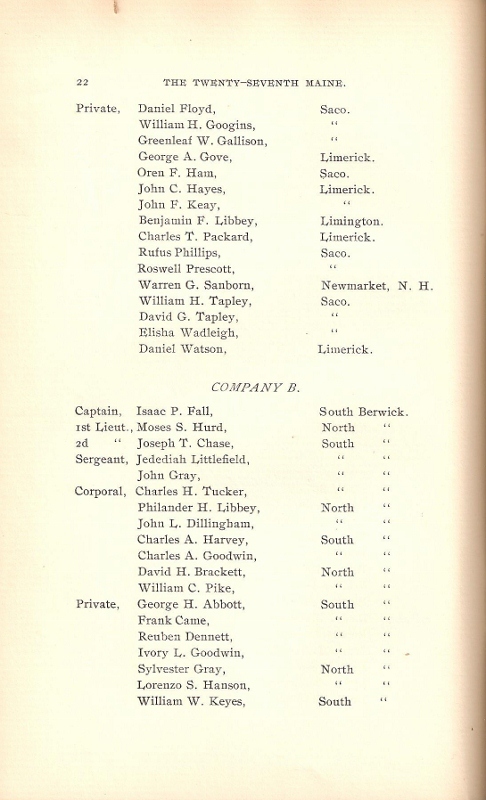 He was the probable brother of James Spinney of Co G.